Remote, Reliable, and Revolutionary. 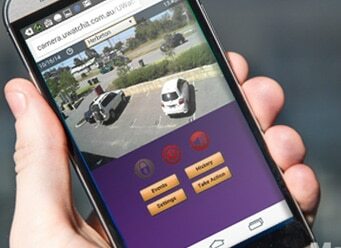 The Spectur surveillance camera is the most cost effective way to secure and monitor your remote or non-powered site. Using the 3G/4G network in combination with independent solar power and Spectur’s cloud infrastructure, this technology secures your site 24/7. A foolproof system that is ideal in all conditions, remote and non-powered sites become easy to continually monitor and secure without expensive security guard options. The Spectur remote camera system is powered entirely by solar cells and is like no other system available. Fully powered by solar cells. Backup battery installed to power up to 4 days, with zero solar input. Remote access available on desktop and mobile. Easily switch the view between multiple cameras. Advanced telemetry that monitors battery usage, signal strength, and a number of activations. 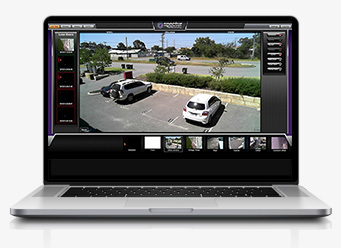 Advanced motion detection algorithms that can deal with all of the extraneous movement that happens on remote sites. This ensures that false alarms are kept to an absolute minimum. Remote access to all camera functions and settings via Spectur’s advanced cloud. This allows all settings to be managed remotely without the expense of having to have technicians attend site to alter settings. Remote security becomes simple and effective, giving you the power and peace of mind that no other system on the market can offer – and all for the fraction of the price! Purchase outright or hire from as little as $14 a day*. A very small price to pay for peace of mind. *price depends on the number of systems rented and duration of rental period. Excludes Freight, Data Plan and Installation. Non-powered sites, which may include caravan and camping grounds, remote farms, and other environmental production areas, are at high-risk due to low visibility. As a result, the security and conditions of these areas are at high-risk and require a remote monitoring solution. Spectur cameras feature high-definition imagery, powered by highly reliable solar cells. Through 3G or 4G connectivity, the system is fully-functional remotely, providing you with live view access of your non-powered site at any time. Allows for integration of multiple Spectur cameras, with management through the one account. Provides optimal surveillance for sites with large or abnormal spaces. Detects and differentiates moving objects thereby minimising false alarms. Interfaces with professional monitoring stations who can intercept alarms as they happen and take the appropriate action. 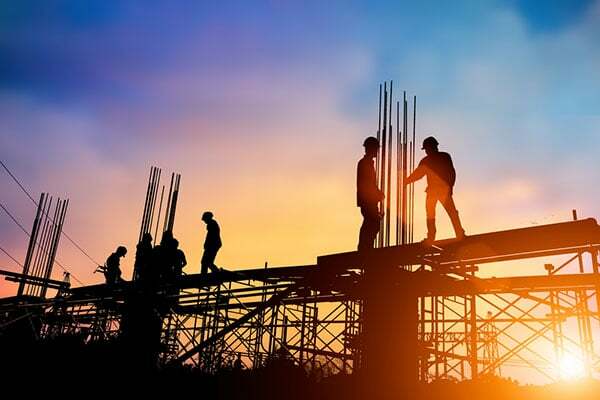 If an intruder is detected on your building site, the remote monitoring camera device will broadcast a pre-recorded spoken alert, warning the offender that security patrols and police are making their way to the site. Intruders rarely stay onsite. In the vast majority of cases, intruders exit the site immediately, preventing the crime that they were there to commit. You can also WATCH real footage of an intruder being apprehended on this building site and see the 100% crime prevention success rate they’ve had with the Spectur camera system! We have been using the Spectur system for a year. I’ve not had a single crime on site. On previous jobs, I’ve had very bad experiences with crimes that cause lengthy and costly delays. Our margins are very tight so delays can mean the difference between making and losing money on a project. The Spectur system has been 100% effective. We chose Spectur as it’s a more humane and affordable solution to our current onsite security. We are currently running 21 cameras across several projects and have had no security problems. We’re extremely happy with the effectiveness of the cameras on our sites and it’s also a real pleasure to deal with the friendly staff at Spectur. For more information on how our clients use the Spectur solar security camera system, please see the Applications section of the website.